Mon., Aug. 12, 2013, 3:34 p.m. 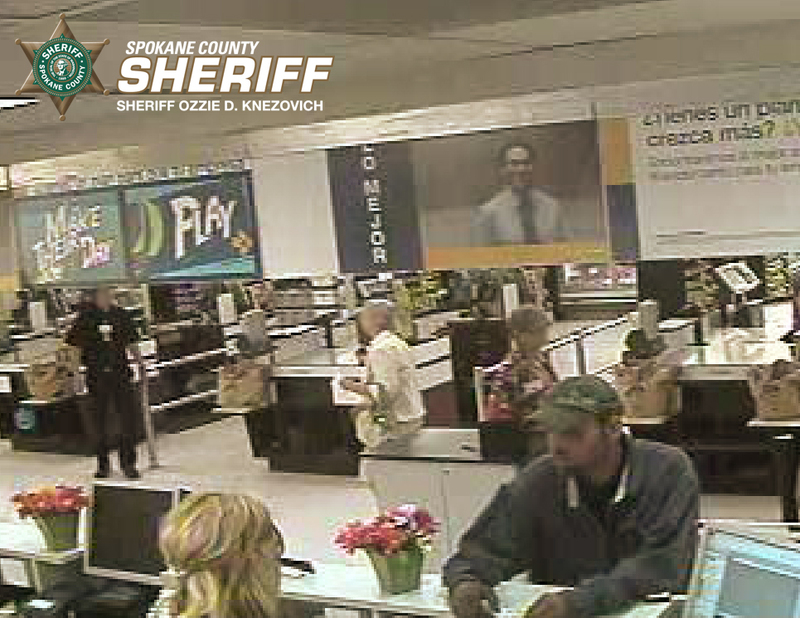 The Spokane County Sheriff’s Office is looking for the man who robbed a U.S. Bank branch in a Spokane Valley grocery store Monday morning. Security cameras captured images of the man, who is seen walking up to the counter with a note police say demanded money. The man, who appears to be in his 40s and is wearing a green baseball cap and “a blue mechanic style jumpsuit,” did not show a weapon and left the Albertson’s at the intersection of Trent and Argonne heading west just before 11 a.m. Monday. Ten robberies have been committed in the area over the past 2 weeks, a news release from the Sheriff’s Office said. Anyone with information on those incidents is asked to contact Crime Stoppers at 1-800-222-TIPS or online at crimestoppersinlandnorthwest.org. Published: Aug. 12, 2013, 3:34 p.m.